Veteran Cologne striker Claudio Pizarro has admitted that he does not yet know if he will continue playing professional football into next season. Speaking to bundesliga.com after the Billy-Goats' 4-1 defeat at Wolfsburg on the final day, Pizarro, 39, said: "I don't know yet [about retirement]. I'll wait for some things and then I will make a decision. I need some time to think and see what I'm going to do." The Bundesliga's all-time foreign-born top scorer with 192 goals, the Peruvian has found the target in every single season he has played in the German top flight bar one, netting his only goal this campaign in Cologne's 3-2 defeat to Stuttgart on Matchday 25. Formerly of Bayern Munich and Werder Bremen, Pizarro was brought in by Cologne last September in order to help the club avoid the drop, but only made 16 appearances - 11 from the bench - due to a string of niggling injuries. 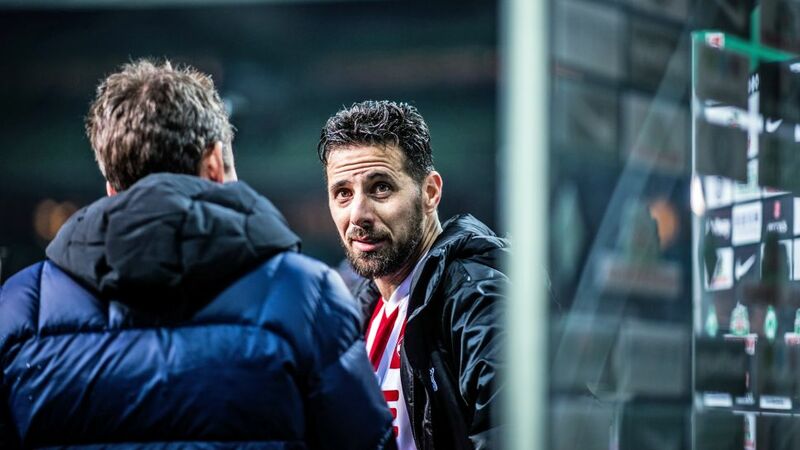 Pizarro did feature more as the season wore on, however, appearing in nine of Cologne's last 10 games, and still harbours dreams of a trip to Russia this summer with Peru, who will be competing in their first FIFA World Cup since Spain 1982. Amid speculation in the country that he might not make the final cut for Ricardo Gareca's squad, Pizarro - speaking after Matchday 33's 3-1 defeat to Bayern - insisted that he had not yet given up hope of crowning a glorious career with a maiden World Cup: "I'm still hoping to play in the World Cup. Gareca has asked me to play and be in good shape."